This article is about the currently active Italian Army Alpine Brigade Julia. For the historic Italian Alpine Division, see 3 Alpine Division Julia. 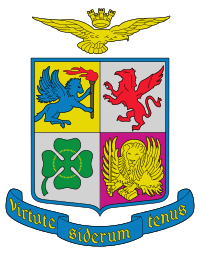 The Alpini Brigade Julia is a light Infantry brigade of the Italian Army, specializing in Mountain Combat. 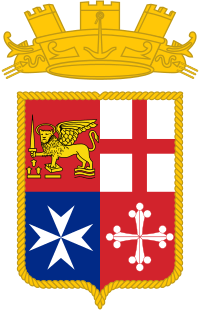 Its core units are the Alpini, the mountain infantry corps of the Italian Army, that distinguished itself in combat during World War I and World War II. 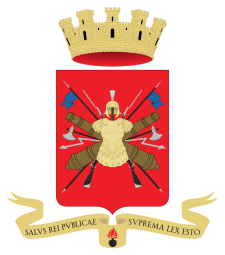 The brigade’s name Julia alludes to the Julian Alps were the brigade is based. The Brigade carries on the name and traditions of the 3rd Alpine Division Julia. 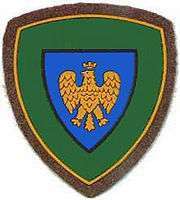 The Alpini Parachutist Platoon merged with the other four Alpini Brigades Parachutist Platoons on 1 April 1964 to form an Alpini Parachutist Company under direct command of the 4th Alpine Army Corps. 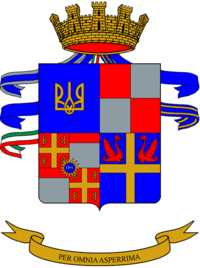 After the 1976 reform the 4th Alpine Army Corps was responsible to defend the Italian border along the main chain of the alps from the Swiss-Austrian-Italian border tripoint in the west to the Italian-Yugoslavian border in the east. 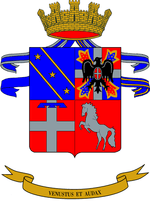 In case of war with Yugoslavia the 4th Alpine Army Corps would remain static in its position guarding the left flank of the Italian V Corps, which would meet the enemy forces in the plains of Friuli-Venezia Giulia. The only brigade which would have seen combat in such a case would have been the Julia. In case of a war with the Warsaw Pact the 4th Alpine Army Corps had two war planes: one in the case the Soviet Southern Group of Forces and Hungarian Army would march through Yugoslavia and the other in case the Warsaw Pact would violate the Austrian neutrality and march through Austria. In case the enemy forces would come through Yugoslavia, the Julia would cover the mountainous left flank of the 5th Corps, which with its four armoured and five mechanized brigades would try to wear down the enemy before it could break out into the North Italian Padan plain. The other Alpini brigades would remain static. In the more likely case the Soviet and Hungarian divisions would invade Austria and march through Southern Styria and through the Drava valley in Carinthia the Alpini brigades would have been the first front line units of the Italian Army. The Cadore would have defended the Piave valley and the Tridentina the Puster valley, while the Orobica had a special mission and the Taurinense would remain in reserve. The Julia Brigade however was expect to the first Italian unit to encounter enemy forces as it was based closest to the assumed line of advance of Warsaw Pact forces. Coming up the Drava valley the Eastern bloc forces could turn left at Villach and try to cross the Alps through the Canal Valley, which was garrisoned by the units of the Julia Brigade: the Gemona Alpini battalion was located right at the border in Tarvisio, with the Cividale Alpini Battalion further down the valley in Chiusaforte. Both battalions were to be supported by the Belluno Mountain Artillery Group in Pontebba. The Gemona was tasked with blocking the Canal Valley right at the border, while the Cividale was tasked with defending the Naßfeld Pass and thus securing the left flank of the Gemona battalion. 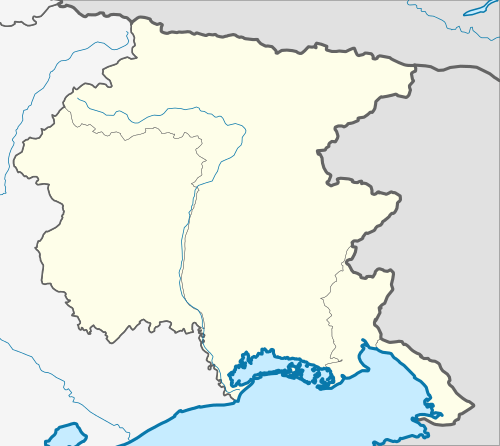 The biggest battalion of the Italian Army the Val Tagliamento Alpini Battalion was based in Tolmezzo shortly before the Southern end of the Canal Valley. The Val Tagliamento fielded 16 full strength companies and had an organic strength of over 2,500 men and was the last line of defence in the mountains before the plains of Friuli-Venezia Giulia where the 5th Army Corps awaited any enemy who would manage to break through. The Val Tagliamento was supported by the Conegliano Mountain Artillery Group and Udine Artillery (Air-Defence) Group based in Udine and Tolmezzo. The Tolmezzo Alpini Battalion was stationed to the North of Tolmezzo in Paluzza and tasked with defending the Plöcken Pass as a breakthrough there would have allowed enemy forces to march through the But valley into the rear of the other units of the Julia. An attack through the Canal valley was considered to be the most likely scenario and therefore the Julia was by far the strongest brigade of the Italian Army fielding almost 10,000 men. 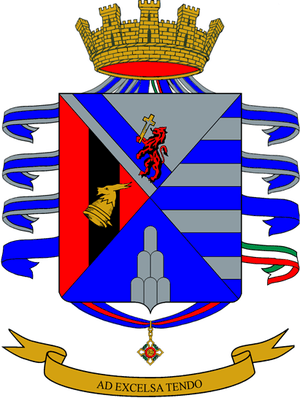 In case the Julia would have failed to hold the Canal valley the Italian Army had a nuclear armed heavy artillery group stationed in the brigades rear: the 27th Heavy Artillery Group Marche in Udine armed with M110 howitzers. W33 Nuclear shells for the 27th group were stored in Reana del Rojale at the Italian Army ammunition depot "San Bernardo". The 27th group was ordered to turn the Canal valley into a fiery hell if the Julia would have been overrun. The group fielded two firing batteries with 4 artillery systems per battery and had 140 (!) nuclear artillery shells to fulfil its task. In the 1980s the W33 nuclear artillery shells were replaced with fewer but more powerful W79 nuclear artillery shells. To aid in the defence of the narrow mountain valleys the 4th Army Corps re-activated some fortifications of the World War II era Alpine Wall. In the area of operation of the Julia the task of maintaining and manning the fortifications fell to the Val Tagliamento Alpini Battalion. The fortified lines were at Plöcken Pass, Campiolo, Portis, Torre Moscarda, Stua di Ramaz, Cavazzo, Ugovizza, Malborghetto, Val d'Uque, Tratte, Sella Sompdogna, Sella Nevea, Sella Carnizza, Case Marco, Cereschiatis and Ponte del Cristo. 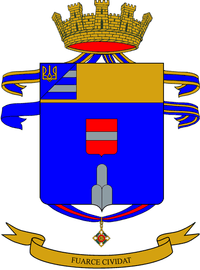 Furthermore the Julia received the 2° Engineer Regiment Iseo Battalion from the Alpine Troops Command in 2002. 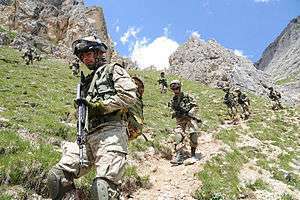 The Alpini companies of the Alpini regiments are equipped with Bv 206S tracked all-terrain carriers, Puma 6x6 wheeled armored personnel carriers and Lince light multirole vehicles. The mortar companies of the Alpini regiments are equipped with 120mm mortars, while the anti-tank companies field Spike anti-tank guided missile systems. The Cavalry regiment is equipped with a mix of Centauro tank destroyers and Puma 4x4 wheeled armored personnel carriers. 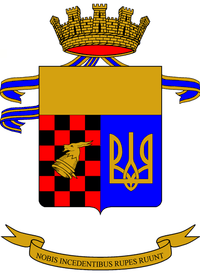 The artillery regiment of the brigade fields 18x FH-70 towed howitzers.